Post sponsored by California Pear Advisory Board. See below for more details. One of the greatest disconnects in food today is that of where our food comes from. Sure, it’s becoming more prominent to know your farmers thanks to CSAs and Farmers’ markets but what about the produce you buy at your local grocery store? A sizable amount is coming from California and usually has a good family story behind it. Pears are the perfect example. 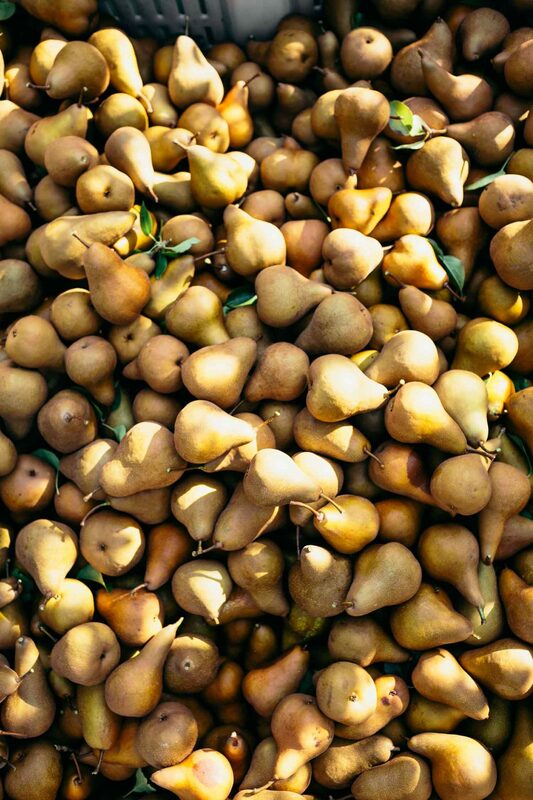 There are currently around 60 multigenerational family farms growing pears in Northern California. The Delta is one of my favorite spots within 30 minutes of Sacramento. Once you get past city limits, you end up surrounded by vineyards and orchards. A place that almost feels a bit frozen in time but is amazingly alive with fresh produce (and some good wineries). 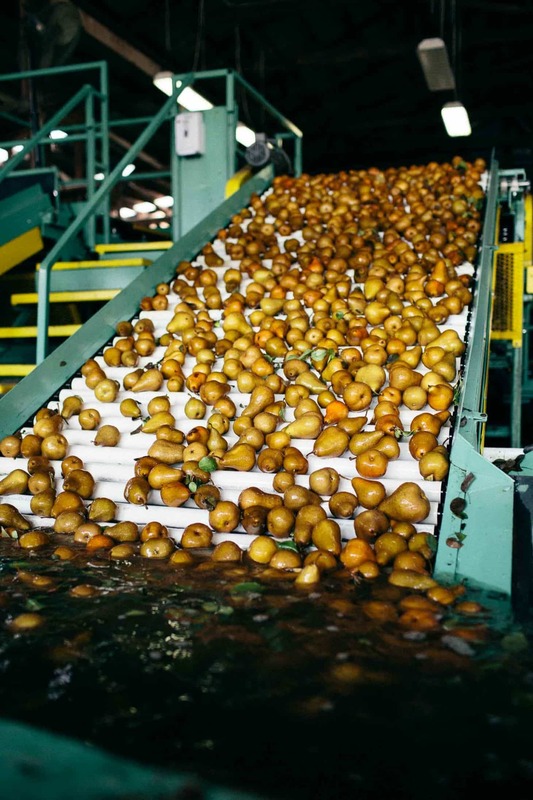 I had the opportunity to tour one of the family farms/packing plants in the Delta region, seeing exactly where all those California pears are grown and harvested. There are 3 prime pear growing areas in California: the Sacramento Delta region, Lake County, and Mendicino County (the Ukiah region). These three areas produce around 150,000 tons of pears per year, growing all different varieties. 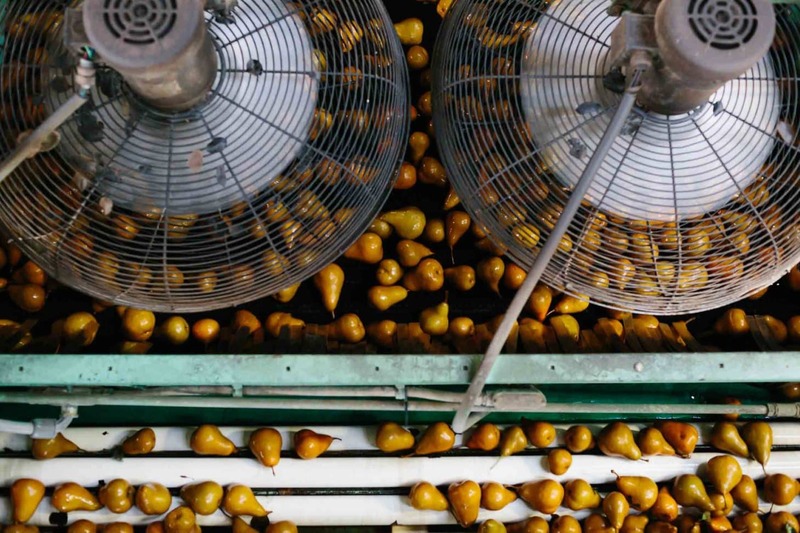 Pears are harvested by hand and require little processing after they are picked. 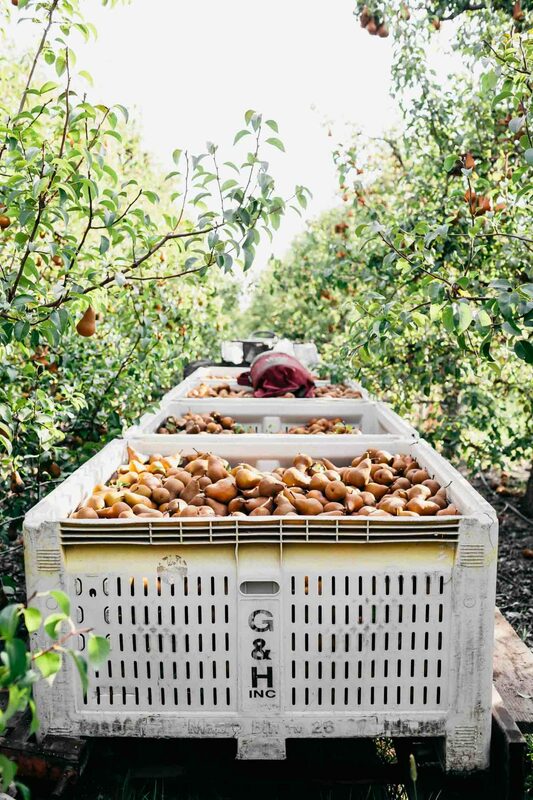 Moreover, California pear farmers are leaders in sustainability; they understand they’re growing healthy food for a global community and they take an intentional, long-term approach to how they care for the land, environment, resources, workers, and communities where they live and work. I wanted to share with you about Greene & Hemly. Cathy Hemly, part of the 5th generation to grow pears in the Delta was kind enough to give me a tour of the farm and the packaging plant. It’s easy to see how much care and dedication goes into their operation and all of that shows in the wonderful pears they produce. The Greene & Hemly family has been farming in the Delta since the Gold Rush era in California and looks to continue for decades to come since Cathy, her husband, and both of their children are involved in the day to day operations. As for this pear salad. I worked with the California Pear Advisory Board to develop this recipe for their site. 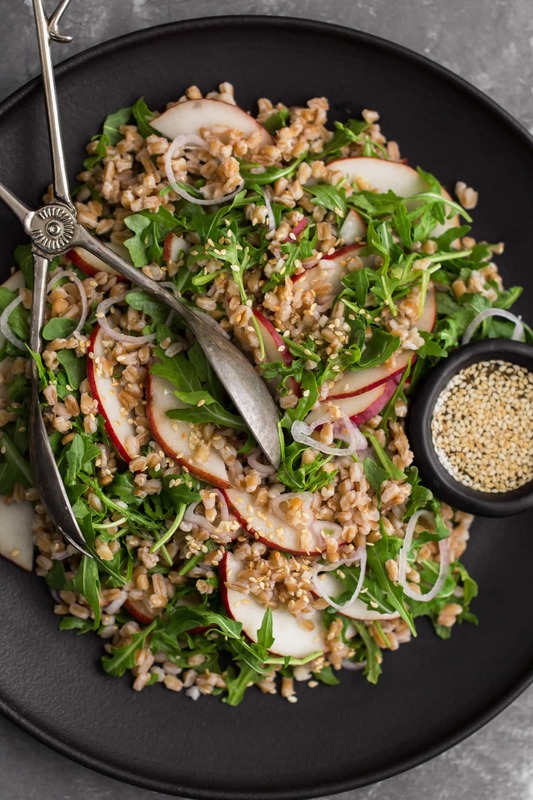 It features one of my favorite pears (red) in a peppery arugula salad tossed with farro and an easy sesame-ginger dressing. All the flavors come together for a lovely lunchtime salad. I think it’s the perfect way to highlight the beautiful color and freshness of the red California pears. For the recipe, visit the California Pear Advisory Board’s site! I love your blog ! Your recipes have become my favorite “go to” staples/treats. I grew up picking fruit to can with my family in the Delta area. You are very blessed to live in this area. I wish I could move back! very interesting to know that all of those pears come from only about 60 farms and located in a fairly small geography! Love the salad too, I keep forgetting how much I love pears in salads, thank you for this!